(i) KLM Axiva Finvest Limited is a non-deposit taking and non-systematically important non-banking finance company (“NBFC”) primarily serving low and middle-income individuals and businesses that have limited or no access to formal banking and finance channels. (a) Gold loan business, lending money against the pledge of household jewelry. (b) Micro, small and medium enterprises loan. (c) Personal loan. Further, as a part of our offerings. (iii) They also provide microfinance loan to women customers and vehicle loan. As on July 31, 2018, They operate through 76 branches across three states namely Kerala, Karnataka and Tamil Nadu managed by our corporate office located at Kochi. (iv) As of March 31, 2017 and February 28, 2018, our AUM was ₹ 9,135.68 Lakhs and ₹ 18,131.44 Lakhs, respectively. Our AUM increased at a CAGR of 183.63% from ₹ 1,135.67 Lakhs as of March 31, 2015 to ₹ 9,135.68 Lakhs as of March 31, 2017. Issue Size: ₹ 100 Cr. Promoters of KLM Axiva Finvest Limited Company are: 1. Ms Biji Shibu: aged 47 years is our Non-Executive Director. She holds a bachelor’s degree in arts from Mahatma Gandhi University. She has served as a director in Carbomix Polymers (India) Private Limited and KLM Tiana Gold & Diamonds Private Limited. She has a rich experience in finance business and has been associated with our Company since March 9, 2013. She holds 4,40,300 Equity Shares, which constitutes 1.10% shareholding of our Company. 2. Ms Princy Josekutty: aged 56 years holds a bachelor’s degree in arts from University of Calicut. She is holding office as a director in KLM Prime Nidhi Limited and as an additional director in K M L M Chits India Limited. She has over 10 year experience in finance business. She holds 47,000 Equity Shares, which constitutes 0.12% shareholding of our Company. This issue is rated CARE BB': Outlook Stable by CARE. The rating of NCDs by CARE indicates that instruments with this rating are considered to have a moderate risk of default regarding timely servicing of financial obligations. 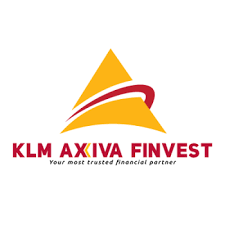 KLM Axiva Finvest Limited NCD offers coupon rates ranging from 11.25% - 12.25% depending on the tenures of 1, 2, 3, 5 and 6 years and the mode of interest payments are monthly, annual, cumulative as per investors choice. Credit Rating AAA is not safe then no point of even looking for the companies with CARE rating of BB.